In the Hamilton Spectator Saturday April 13, 2002 (Magazine section) James Elliot, in his article Dreaming disaster reported an Ancaster woman's mother's dream. 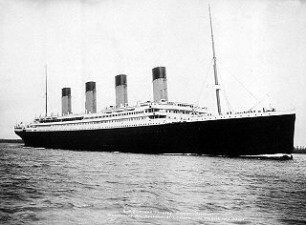 The dream was interpreted as a warning that her husband should not embark on the RMS Titanic's maiden voyage. The husband and father relented and stayed home, thereby surviving the disaster, and as they say the rest is history. 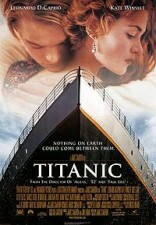 The Titanic was known to some as the "ship of dreams". In the film Titanic, the courageous heroine Rose, is the narrator, who recalls the story of this iconic monument (the sinking of the Titanic) with its narrative of life, death, and survival, while celebrating the memory of her soul mate, Jack. Titanic's signature theme song My Heart Will Go On (listen to music video) laments the loss of love using the dream as its means of expression, the song is sung by Cêline Dion . The songs lyrics open with "Every night in my dreams I see you, I feel you, / That is how I know you go on." The film's premise and plot device is a treasure hunt for the necklace, the "Heart of the Ocean." The survivor Rose narrates her romance with Jack, who had heroically sacrificed himself to save her. The film ends enigmatically with the reunion of the much younger Rose and Jack. The viewer must decide whether she re-unites with Jack in the afterlife or is this her nocturnal dream?